Help Documents - Version 5 Color Theme EditorHow do I use the 100% Width editor? 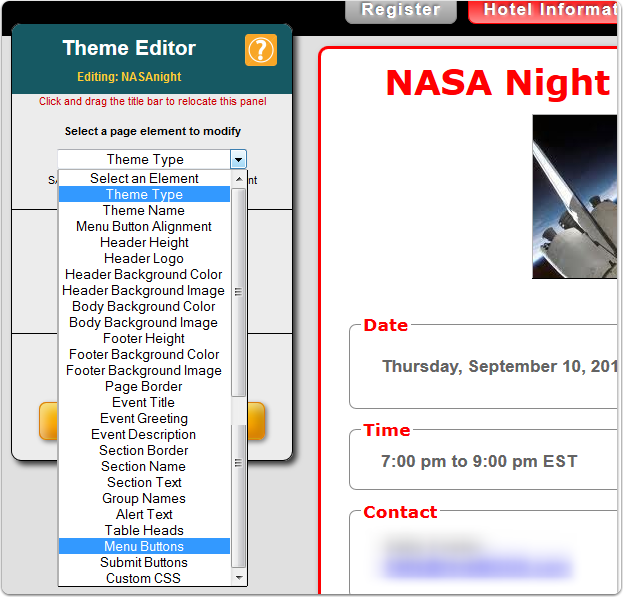 Open the Theme Editor for your event. How do I open the Theme Editor? 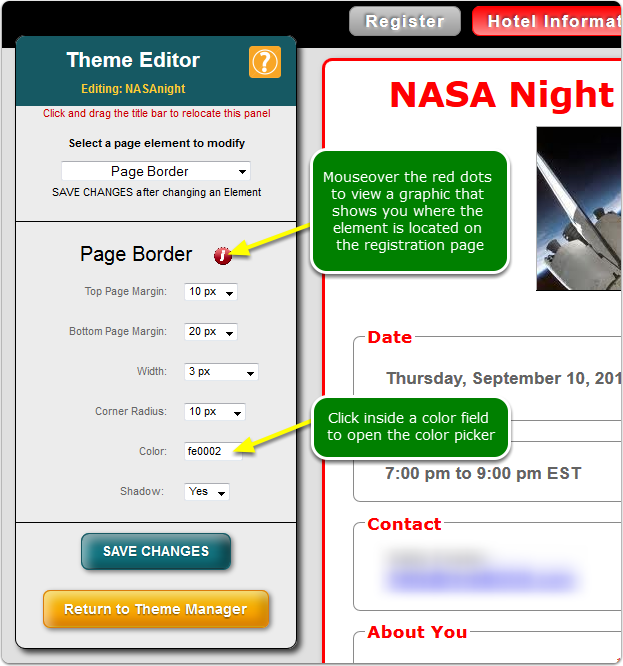 Select the Theme Type option from the dropdown menu of page elements. What is the HEADER, BODY, FOOTER? This is a registration website in 100% Width Layout - which is one page with three sections. 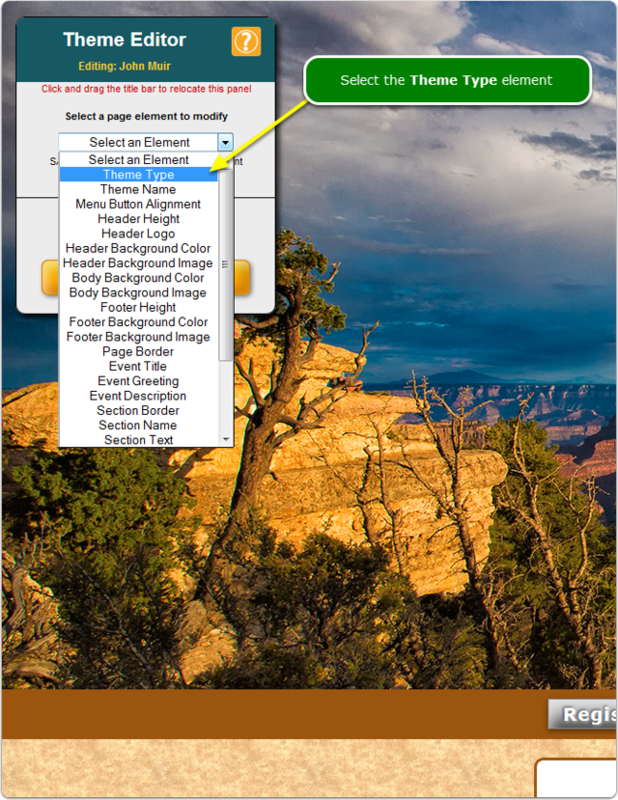 Zoom: What is the HEADER, BODY, FOOTER? How are page elements layered? The Logo is only IN THE HEADER and applied ON TOP of the BACKGROUND IMAGE which, in turn, is always applied ON TOP of the BACKGROUND COLOR. Therefore, the BACKGROUND IMAGE can obscure the BACKGROUND COLOR. The HEADER BACKGROUND IMAGE does not need to fill the header area. It can be tiled vertically, horizontally or both vertically and horizontally. Regarding email messages: CAVEAT: Tiling background images is not supported by all email readers. Therefore, you can expect some deprecation of your theme's appearance in some email readers. Tiled images are dropped from the display. Therefore, your workaround is to NOT use tiled images. 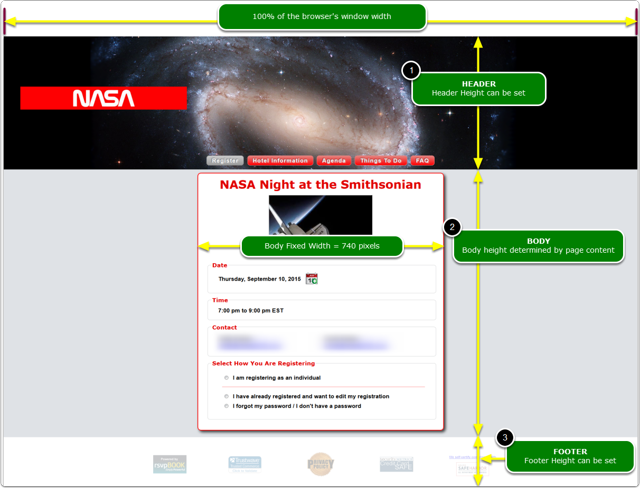 Zoom: How are page elements layered? Select any page element from the dropdown menu. 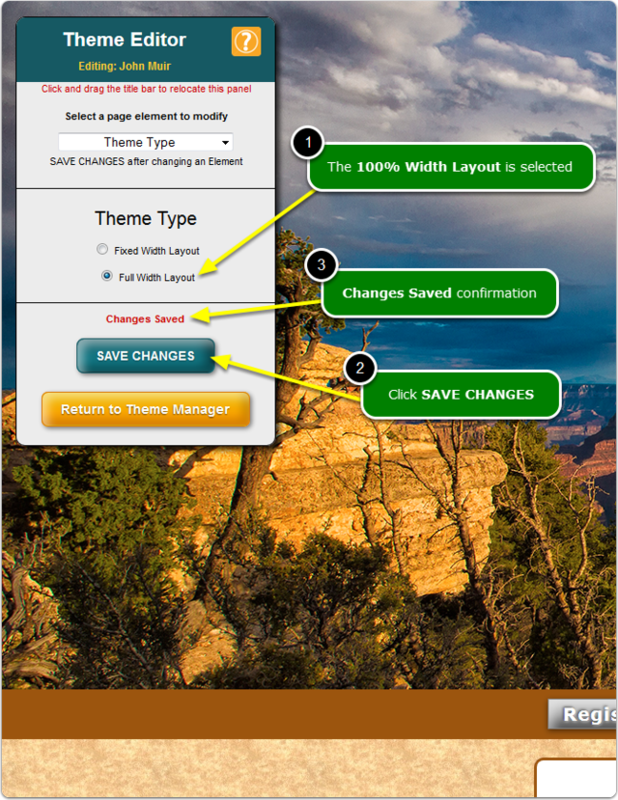 The tool panel will refresh and display the settings that can be changed for that element. 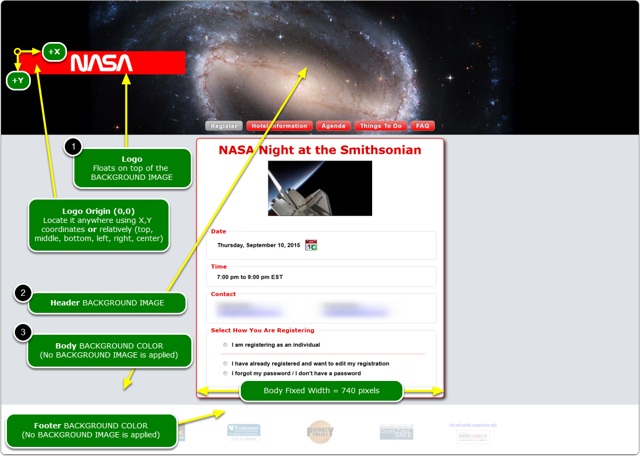 Below is the entire list of page elements for the 100% Width Layout only. Page elements for the Fixed Width Layout are in this article: How do I use the Fixed Width editor? Don't forget to SAVE CHANGES! Prev: What can I do with the Theme Editor tool? Next: How do I use the Fixed Width editor?